“Do one thing and do it well” is the Street Skills philosophy. What causes motorcyclists both fear and fun? Curves. These emotions intensify as the curves get sharper. There are many excellent riding schools out there teaching a wide variety of skills and techniques. However, Jon’s school specializes in cornering confidence. If you want to attack curves fearlessly, register for limited course offerings at select rallies or invite Jon to teach at your event. This book provides the foundation for Street Skills courses. It’s Jon’s “lesson plans”. The full title is Cornering Confidence: The formula for 100% control in curves. 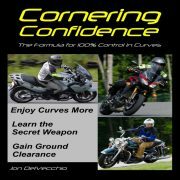 Cornering Confidence provides motorcycle riders with a simple progression of skills to elevate their riding within a short period of time. The ultimate goal of the book is mastering the often misunderstood trail braking technique. These advanced skills can take years to discover separately, but have been condensed here into a nice little package. Learn the secrets to 100% cornering confidence. Printed in the USA. Buy Here! Street Skills currently offers the Cornering Confidence on-road style course. 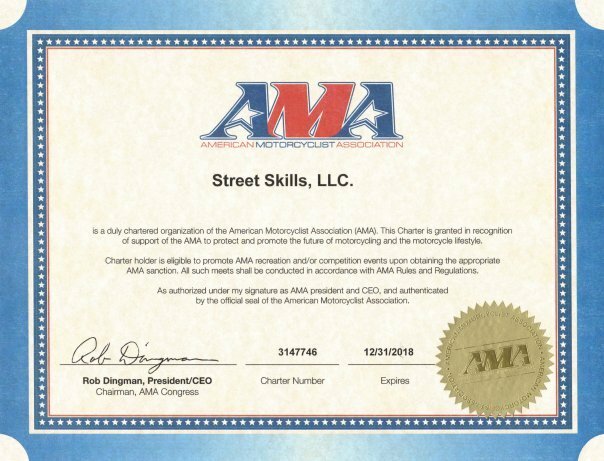 Street Skills LLC “on-road courses” are American Motorcyclist Association sanctioned coaching seminar tours conducted on public roads. The techniques in the Cornering Confidence book are applied to real world situations. The course is a full day (8) hours in length. Class size: 3-5. The Street Skills on-road course method is to use a well chosen “street circuit” or route in excellent riding locations. Read Review! Contact Jon for possible private lessons for 1 to 4 riders. Parking lot courses are the most flexible, customizable and portable course option. Parking lot courses provide the most direct feedback for learning. This course will improve cornering confidence and control in only a half day time commitment. Contact Jon to secure a date for your rally or club. Street Skills offers a track day course specifically for street riders. Cornering confidence and precision riding are the objectives, not pushing the limits. Since the riding is at a street riding pace, this enjoyable course requires minimal motorcycle and gear preparations. Clubs and organizations are invited to schedule private courses with Jon. Read Review! 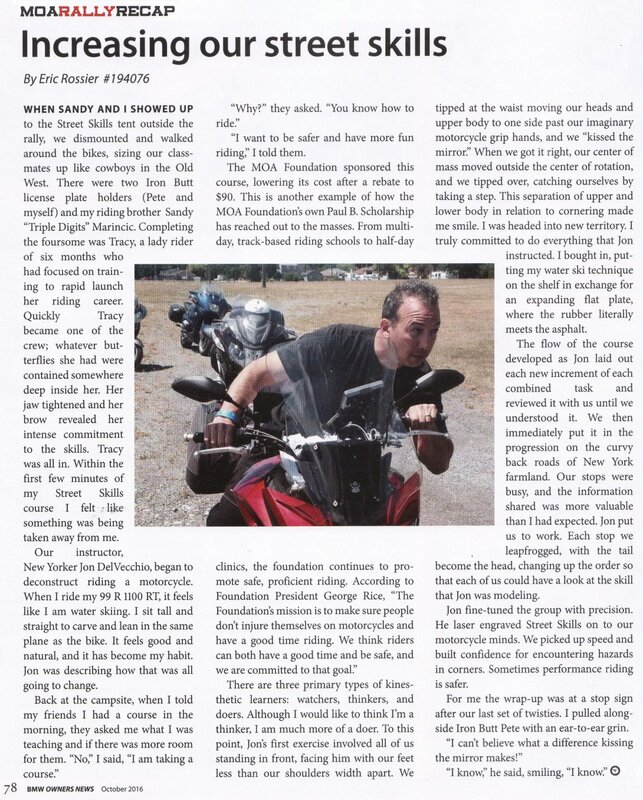 This two (2) hour classroom course uses the Cornering Confidence handbook as instructional guide. The benefits of the classroom course are interactive discussion, sharing of experiences and holistic understanding. Students must sign paperwork prior to participation in any Street Skills LLC course. 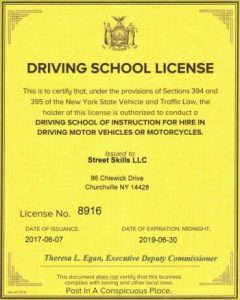 2nd —– Well in advance of the course or lesson, participants should download, read and sign this Street Skills LLC waiver. Copies will be available at the start of an event, but participants should give this document their full attention.